Well, another great year of amazing online marketing articles has come and gone! That’s why we wanted to make a short summary with the best of the year going month to month. These 12 posts go over a bunch of different topics like, Social Media, CRO, Customer Engagement, UX, Website Design, Big Data SEO, Content Marketing and of course Landing Pages. This great compilation will help you with anything you need to give your small business that needed boost. Go and take a look, we know that at least one of these post will be really useful for you! You know, when you’re setting up a new landing page, there’re a lot of components to consider such as Copywriting, Design, Form, Call to Action Button, etc. Yet, there’s something you may not have thought with regards to setting up your landing pages: the importance of your choice of URL. Truly, a well-chosen landing page URL can really kick your online marketing campaign into high gear. What’s one of the single most important points to focus on for short-range and long-term success in your online marketing? It’s critical for you to focus on providing your customers a great customer experience before, during and after the sale. So, let’s talk about how you can do that. In march of this year, our team traveled to San Francisco to assist the Conversion Conference and learn all about Conversion Conference from the leading experts. But, not only did we assist and also learn a lot from the different speakers, we also had the chance to interview some of the most important speakers on hand. 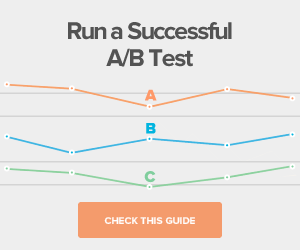 We interviewed Tim Ash, Bryan Eisenberg and Rich Page and also asked for advice about CRO so you could use this in your Landing Pages. Google’s main goal is providing its searchers a pleasant and intuitive user experience. That’s why they've recently decided that website UX will be a BIG factor in page rankings. So, as Google has decided to make this such an important factor, if you focus on quality user experience as well, not only is your site likely to convert more, you’re more likely to also get more traffic! Big data isn’t just for big companies you know? Even independent consultants working solo from a home office have marketing data available right at their fingertips as well. They can use it for insights into their online sales operations, insights that can be a stepping stone to spectacular results! Learn how small businesses can collect and analyze Big Data and take meaningful action that can launch their marketing results, including those all important conversion rates, to new heights. Learn how to manage Big Data! Your website design is crucial for getting readers to stay on site. It can help you keep them focused on the thing you need them to do most – making the switch from reader to customer! Website design is always an indispensable part of a solid first impression. And in marketing, first impressions are very important. Go ahead, click here and learn how to captivate your visitors with your website design. SEM can really bring your online marketing efforts up a notch, doing wonders towards helping you increase traffic and e-commerce sales. However, It can also be a financial “black hole” if you’re not careful. There’s no guarantees, and it can be expensive, maybe even putting you out of business! You have to do SEM right or lose big time. So, in this post we’ll talk about a couple of things that are critical towards getting it right the first time. See how to Hit a Homerun here! Here are some ways to turn an average page into a high converting landing page. 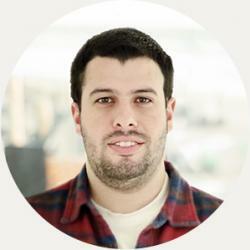 September: Is Content Marketing Destroying SEO? Ever since content marketing emerged on the scene several years ago, people have been predicting the demise of search engine optimization. But SEO still holds an important place in bringing visitors to your landing page. Content needs to provide real value to readers, but it doesn't do you any good unless people can find it right? That’s why this post will show you how it’s all connected. 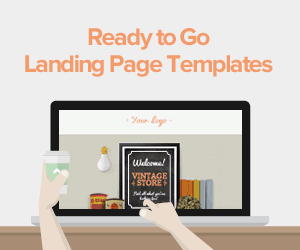 You’re probably aware of how essential landing pages are for any online marketing form. But these pages have applications outside of your website. In particular, Facebook landing pages can really give your social media campaigns a kick in the pants. 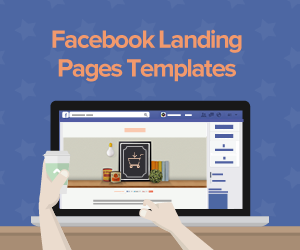 Check out this post to learn why and how use a Facebook Landing Page. We know that landing page design is a delicate art, and even the simplest details can affect your page’s success rate. 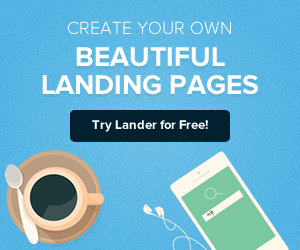 Landing pages should not only capture the viewers’ attention, they should also engage them. So, how does a landing page achieve this end goal and how do you know which aspects to leverage? Well, find out here with this informative Infographic! The end of the year is rapidly approaching, which means it’s time to start planning and budgeting for 2015. With the wide range of inbound marketing tactics available, it can be tricky to know where to start. Marketers want to get to the creative side of their campaigns, which is why they may procrastinate making their new year budget. However, this process doesn't have to be as painful as you think. Read how to create your 2015 Marketing Budget here! We hope you've enjoyed this year full of great content as much as we did. Please let us know if there’s any other article that you liked as well and share it with us! See you next year with more and greater content!